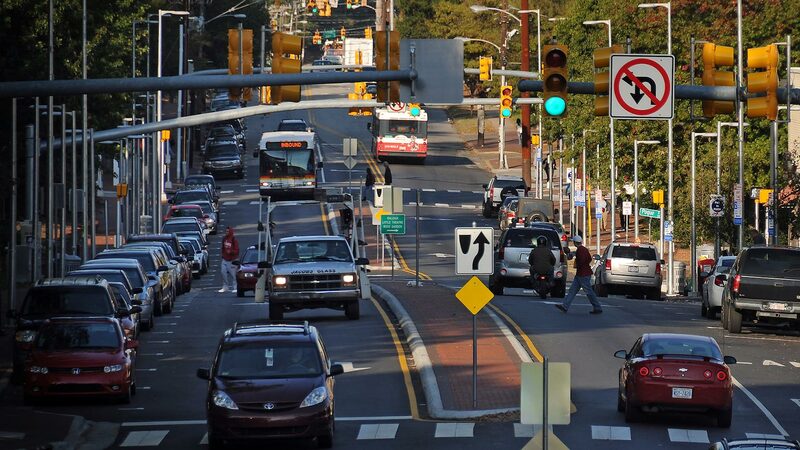 On a thriving university campus, people are on the move. From work to class and everywhere in between, students, faculty and staff travel to, from and around campus. 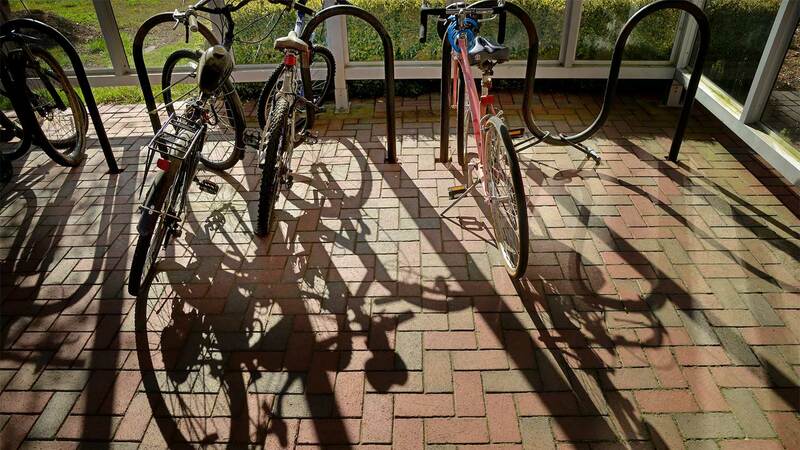 Every year, campus sustainable transportation options grow, reducing energy use and greenhouse gas emissions while creating a more pedestrian-friendly and less congested campus. is the number of annual passenger boarding on the Wolfline campus bus system in fiscal year 2016. Fleet Services, which supplies and services state-owned vehicles for the university, offers alternative fuel vehicles to reduce emissions, vans and buses to reduce the number of vehicles on the road, and a car washing service that recycles 80 percent of wash water. Charging at the stations in italic below require the display of a valid NC State parking permit for the specific vehicle charging parking area AND an EV permit (Electric Vehicle Charging Permit). Please pay close attention to signs posted at each charging station. Coliseum Parking Deck Surface Lot off Cates Avenue: 2 stations with 4-hour charge limit. Requires NC State parking permit, an EV permit and a ChargePoint Card (also available at NCSU Transportation Office) or mobile app use. Dan Allen Parking Deck Lower Level, 110 Dan Allen Drive: 2 stations with 4-hour charge limit. Requires NC State parking permit, an EV permit and a ChargePoint Card (also available at NCSU Transportation Office) or mobile app use. Centennial Biomedical Campus Parking Deck, 1061 William Moore Drive: 1 PEP PS2000 station, 2 cords with 4-hour charge limit. Requires NC State parking permit and EV permit. Partners II on Centennial Campus, 840 Main Campus Drive: 2 stations with 4-hour charge limit. Requires NC State parking permit and EV permit. FREEDM Systems Center/Keystone Building on Centennial Campus, 1791 Varsity Drive: 2 stations, see FREEDM reception desk for permit. Partners Way Parking Deck on Centennial Campus, 851 Partners Way: 2 stations with 4-hour charge limit. Requires NC State parking permit, an EV permit and a ChargePoint Card (also available at NCSU Transportation Office) or mobile app use. Oval West Parking Deck (Lower Level) on Centennial Campus, 914 Partners Way: 2 stations with 4-hour charge limit. Requires NC State parking permit and EV permit. Partners I on Centennial Campus, 1017 Main Campus Drive: 2 stations with 4-hour charge limit. Requires NC State parking permit, an EV permit and a ChargePoint Card (also available at NCSU Transportation Office) or mobile app use. Research IV on Centennial Campus, 909 Capability Drive: 2 stations with 4-hour charge limit. Requires NC State parking permit and EV permit. Solar House at McKimmon Center, 1201 Gorman Street: 2 Stations, no permit required. E Carroll Joyner Visitor Center, 1210 Varsity Drive: 2 Stations, no permit required. 1. Ride the Wolfline or a regional/local bus for easy travel to and through campus. 2. 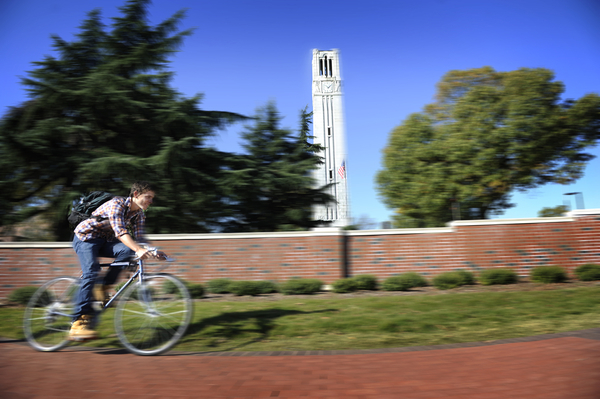 Ride a bike or walk as part of an active campus commute. 3. Ride in a carpool or vanpool to save gas and money while also reducing pollution.